NTSB investigators are like detectives, sifting through physical evidence, following paper trails and exploring what people did or didn't do. Accident investigations require a lot of sleuthing and scientific analysis. Former NTSB investigator Gregory Feith knows first hand. "It's basically CSI," he says. CSI is short for crime scene investigation. The goal, though, is not to find out who did it. It's to determine how the accident happened. 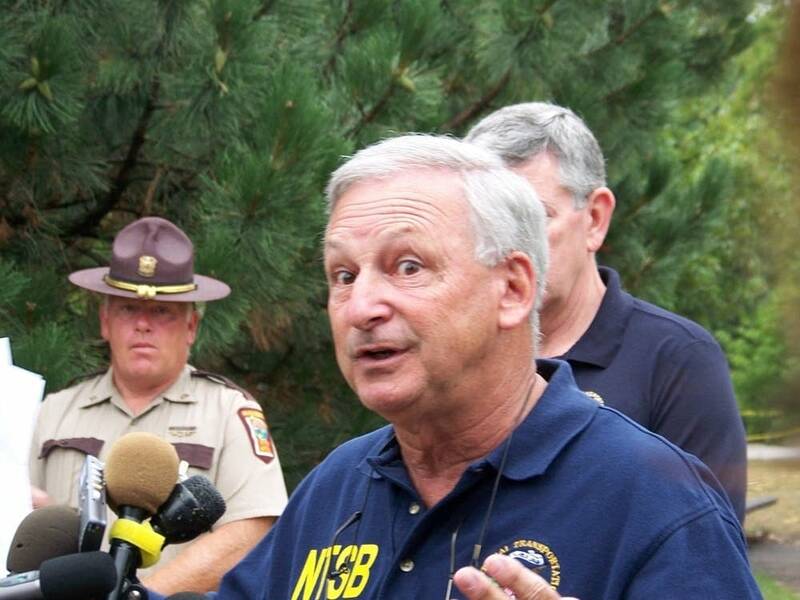 Feith was an NTSB investigator for 21 years. Lately he has hosted "Secrets of the Black Box," a History Channel show about aviation accidents. "You have to get to the scientific methodologies to really understand and do a proper analysis, to determine cause and contributing factors," Feith says. 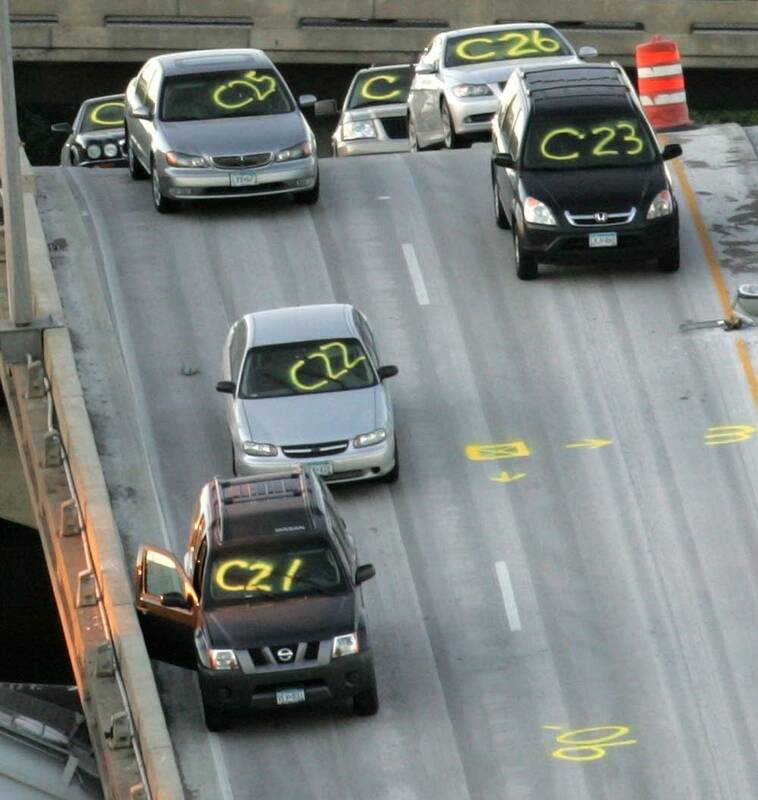 Many theories have been floated about the collapse of the 40-year-old 35W bridge, from untended cracks that turned fatal to the corrosive effects of anti-icing agents used on the bridge. Feith says investigators will explore all theories. Often, the seemingly obvious cause is not the true reason for an accident. Feith says evidence can point one way, and then another. And another. "You have to go in with an open mind," Feith says. "A lot of people go, 'It's very obvious what happened.' Well, no it isn't, because there are so many underlying factors that may have contributed in some way, shape, or form." The NTSB has been conducting inspections of areas of the bridge that are accessible. On Monday, using a high-resolution camera mounted on a state police helicopter, investigators looked at the north end of the bridge. Several fractures were spotted. But none of them appeared to be starting points for the bridge's collapse. The NTSB said Wednesday that investigators have observed what the agency called a design issue with steel plates that tie steel beams together. Safety board investigators are verifying the loads and stresses on the plates, and assessing the materials used in making the plates, which are called gusset pates. The board has also obtained core samples of the bridge deck to assess the deck's thickness and the amount of concrete on the bridge at the time of the accident. The board says high-resolution images of the bridge provided a view of several fractures on the north side of the bridge, but nothing that appeared to reveal the start of the collapse. The state is eager to start clearing debris and begin construction of a new bridge as soon as possible. But that work can't start until the NTSB combs the scene for clues. And the agency isn't saying yet how long that may take. Feith says the NTSB will gather as much physical evidence as possible to rule in -- or out -- contributing physical factors. But people could have played a big role, too. And Feith says the NTSB will pay as much attention to the human factors in this disaster as much as the board does in a plane crash. 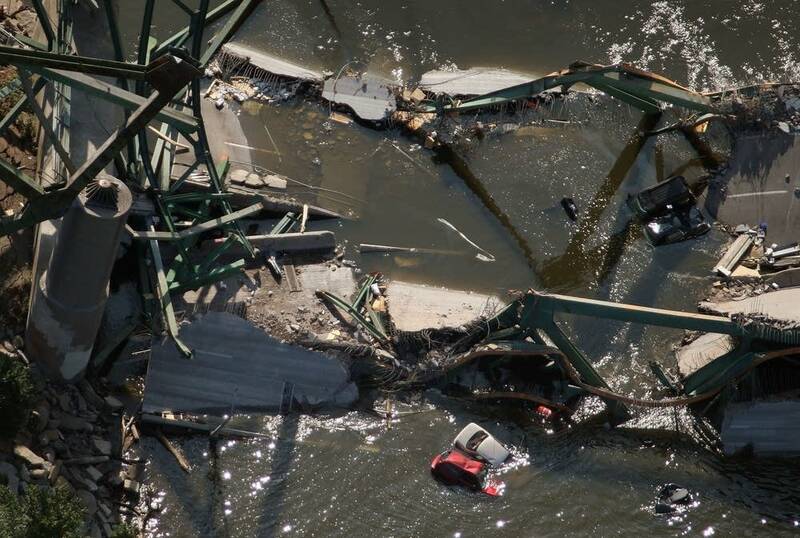 "You still have to look at the human factors element in a bridge collapse," Feith says. "You have construction workers, you have construction companies. You have specs that need to be adhered to. If someone didn't mix the concrete properly, you've now got a weak concrete. Did the guy who was mixing the concrete have a bad day?" The safety board has been interviewing of eyewitnesses and people who were caught in the bridge collapse. Because of the age of the bridge, Feith says the examination of the bridge's metal components will be a critical factor in the investigation. Former NTSB chairman Jim Burnett says some of the most critical evidence is in the river, or buried under other debris. "The most essential evidence will be the truss system, which is now the lowest level of debris, probably," says Burnett. "And that will be the last thing they will be able to get to." In the meantime, Burnett expects the NTSB will focus on the extensive collection of documents the agency has gathered, covering everything from the bridge's design and construction to the weather over the past 40 years. "A paper trail will be the most fruitful area of investigation right now, including the inspection reports, records of the construction activities, blueprint and design documents for the bridge, and the paper trail on the construction process and the decision-making process in analyzing the inspection," Burnett says. Burnett says bridge and aviation accident investigations aren't that much different -- with one big exception. Burnett says most folks involved in a bridge accidents have not dealt with the NTSB before. So, they have a learning curve when it comes to understanding what's involved in an investigation like this. "The construction company involved may never have been involved in an NTSB investigation before. Even the Minnesota Department of Transportation probably would have very limited experience with it," notes Burnett. "Whereas a major airline or airplane manufacturer would come with a lot of experience, sometimes more than the NTSB investigators." The NTSB may issue safety recommendations as its investigation progresses. But Feith, the former NTSB investigator, says the board won't be quick to announce the cause, or causes, of the bridge collapse. "The general public always wants answers right now. The board's process is thorough and methodical. And if you look at it from that standpoint, that means a long time," says Feith. The National Transportation Safety Board says it could take as long as 18 months to complete its investigation into why one of Minnesota's busiest bridges collapsed and fell into the river.